Our range of Safety Accessories is manufactured from quality-tested raw material sourced from our reliable vendors of the industry. These are known and highly demanded for its quality, durability, corrosion resistance and others. We also customize these products as per the client’s specifications. 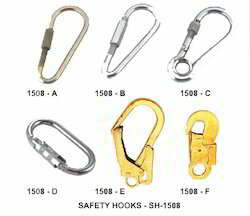 Our safety accessories are well-known for their accurate designs and long service life. These Shock Absorbers are used to diminish the interruption, thus maintains the tyres in contact with the road all the times as these efficient in tough road circumstances as well, and thus ensures a complete safety of the driver. The range of this product is available at market leading prices. In order to make this product, we make use of high grade raw material and advanced technology as per the set industry norms. 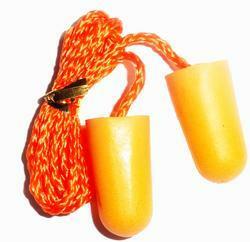 We offer Industrial PPE Muff & Ear Plug's that are a part of Industrial Safety (P.P.E) Equipments. These Fall Arresters are used by the mount climbers, stunts coordinators, and workers who work on heights, at buildings or other high structures, these ensure maximum quality and safety of the individuals. We bring forth a wide assortment of these products which are manufactured with complete precision to make them extremely efficient and durable. Our range of product is hugely appreciated for its robust construction and high quality. We offer an exclusive range of Fall Arrester that is useful for quick action security force against any kind of terror or crime activity inside security areas.These are manufactured using high quality raw metal and other material that meets international quality standards and are widely demanded due to high durability, excellent performance, dimensional accuracy, corrosion abrasion and toughness. 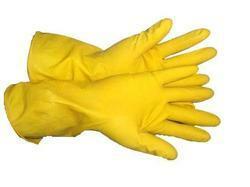 We are one of the leading manufacturers and suppliers of Rubber Hand Gloves that are stitched centrifuged natural rubber latex. Our entire array is manufactured by following well defined industrial procedures and are ideal to be used in diverse industrial, surgical, electrical and chemical handling purposes. Further, these are comfortable to wear and don't hamper the performance of the worker. 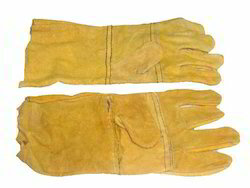 We are leading supplier, dealer of leather hand gloves that is available in various designs, patterns, sizes and colors as per the specifications of our valued clients. These are closely examined by our experts on various required parameters such as dimensional accuracy, design, weld ability and finish. Our range of product is well packed in quality packing material for its safe delivery. 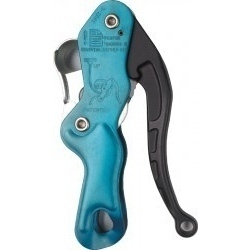 We offer complete range of Grip Descender which includes ideal for providing extra safety during risky operations in various industries. Our offered ranged is highly demanded for rugged construction, maintenance-free operation, comprising durability and reliability. 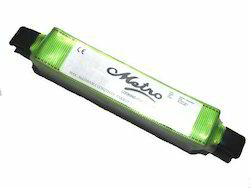 We do comprehensive quality and performance measures of these products before delivering to our valued consumers. Looking for Safety Accessories ?